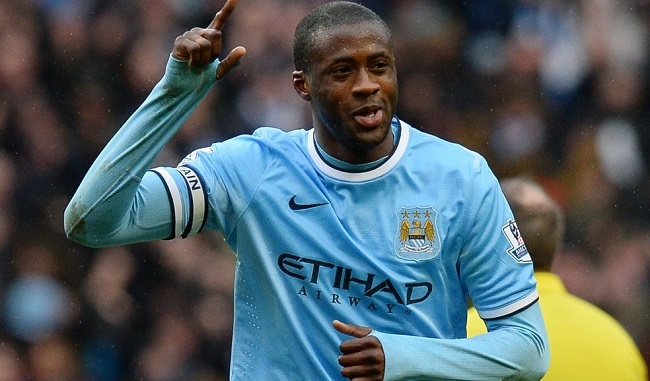 Yaya Toure plays for Manchester City in England’s Premier League. Six active athletes, one retired star, one retired legend, and one behind-the-scenes power broker made their way onto the 2014-15 edition of “The Muslim 500,” an annual list of the world’s most influential Muslim individuals compiled by the Royal Islamic Strategic Studies Centre in Jordan. The Muslim 500 is of course loaded with kings and presidents, philanthropists and politicians, sheikhs and scholars. There are a few entertainers, such as rapper Mos Def and singer Zayn Malik of the pop group One Direction. And because we can’t turn a blind eye to the world being how it is — the good and the bad — there are even some extremist leaders on the list. Yaya Toure (soccer) — The star midfielder for Manchester City of England’s Premier League and the Ivory Coast national team is, at 31 years old, coming off the best season of his career. The three-time African Footballer of the Year and two-time Premier League champion helped lead Man City to another league title in 2014, getting 24 goals and 11 assists in 49 matches. He was named to the Pro Footballers Association Premier League Team of the Year (think First Team All-NBA in basketball) and was a finalist for the PFA Player of the Year award. Toure also led Ivory Coast to its third straight berth in the World Cup, where Les Elephants were knocked out in the group stage. An outspoken advocate in campaigns to prevent elephant poaching, and gained praise in the Muslim community when he refused to accept the traditional bottle of champagne for being named Man of the Match after a Man City match in 2012. Toure is now presented with a shield when he is named Man of the Match. Hashim Amla (cricket) — The first player of Indian descent to make the South African national cricket team is ranked the No. 4 batsman in the world by the International Cricket Council. He has campaigned to remove alcohol-related advertising and logos from cricket merchandise and gear. Ma Yue (martial arts) — A Chinese national champion and master in several martial arts, including Wushu, Sanda, Taiji and Duanbing, Yue is also head of his own family’s style, known as Ma Shi Tongbei. I don’t know much about martial arts, but I do know that even in his mid-50s, Yue is not somebody that anyone would want to force to defend himself. Frederic Kanoute (soccer) — Recently retired after a 16-year pro career playing for clubs in Spain, England, Spain and China, as well as for France and Mali’s national teams, Kanoute was one of the world’s top players in his prime. And five years before it was trendy for celebrities to stand up for the victims of violence on the Gaza Strip, Kanoute made headlines during a 2009 match when he revealed a black “Palestine” t-shirt under his jersey, an action that drew a yellow card and a fine. Another time Kanoute was in the news for standing up for his beliefs was when he refused to wear his club’s regular jersey bearing the name of a gambling website. Mesut Ozil (soccer) — adidas’ decision to push Ozil as one of the faces of their 2014 World Cup marketing paid off in a big way; not only when Ozil helped Germany win the world’s biggest tournament, but also when news agencies around the globe picked up the feel-good story of Ozil donating his entire World Cup earnings to Brazilian children undergoing surgery. Playing midfield for Arsenal of England’s Premier League, Ozil didn’t have a great 2013-14 season at the club level. But it hasn’t hurt his influence, as he is one of the world’s most popular athletes on social media with eight million followers on Twitter and 25 million on Facebook. Mo Farah (track and field) — The reigning Olympic and world champion in the men’s 5,000-meter and 10,000-meter runs, Farah has already been honored with wax statues at two of the famous Madame Tussauds wax museums in England. His “Mo-Bot” victory celebration has become his worldwide signature, but in the Muslim community he is more known for regularly performing the sajdah prostration to Allah (SWT) after each win. Sonny Williams (rugby, boxing) — Standing 6-4 and weighing about 240 pounds, Williams is a brick wall of a man who excels at two of the toughest sports in the world. He is a star on the pro rugby level and for New Zealand’s national team, the first Muslim player to play for the All Blacks and the first rugby player to sign an endorsement deal with adidas. In the boxing ring, Williams is 6-0 as a heavyweight with three knockouts in his nascent career, including a unanimous-decision victory over former heavyweight title contender Francois Botha. Muhammad Ali (boxing) — No need for introductions of a career resume here, but just for fun: Three-time heavyweight champion of the world, Olympic gold medalist, named the No. 1 sportsman of the 20th century by both Sports Illustrated and BBC, arguably the greatest athlete of all-time and a hugely influential social, political and civil-rights figure as well. The 72-year-old owns a Presidential Medal of Freedom and a lifetime achievement award from Amnesty International. Prince Ali Bin Al-Hussein — The vice president of FIFA Asia is also the brother of Jordan’s King Abdullah and son of the late King Hussein. He is also a direct descendant of the Prophet Muhammad (peace be upon him). A competitive wrestler in his youth, Prince Ali is now a major figure for soccer’s international governing body. He was influential in FIFA’s 2014 decision to lift its ban on female players wearing hijab headscarves on the field of play.